The program you're using crashes when you load a file. The program you're using freezes up as soon as you try an input. The program you're trying to run does not run. The computer decides to break itself when you leave it alone for two weeks. The program you're using has an auto-save feature which brings you back to just before the long and tedious bit the program decides to crash on when you finish. The program crashes when you press the save button. Thank you for viewing the trial version of the "You know the computer hates you when..." post. Many new features are available in the full version, such as unlocking the "Expand »" button. 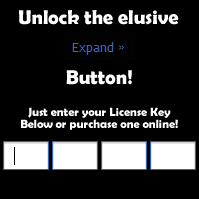 For further viewing enjoyment, please enter your License Key or Buy Online!